FITTER: A standard for Faecal Immunochemical TesTs for haemoglobin Evaluation Reporting. Breast cancer: a lifetime disease? Carlo La Vecchia welcomed all participants and opened the meeting. a) Each PI/study referent presented his/her study (or studies) participating to the StoP Project. Paola Bertuccio presented briefly the studies whose PIs could not be present at the meeting. b) Zuo-Feng Zhang introduced two new studies that will be included in the project: the Yangzhong study (China, 133 cases of gastric cancer [GC], 166 subjects with chronic gastritis, and 433 controls) and the MSKCC study (USA, 67 cases of cardia GC, 67 of distal GC, and 67 controls); and Keitaro Matsuo introduced two other new studies that might be included in the near future, i.e. the HERPACC I study (2667 cases) and the HERPACC III study (still ongoing, over 1000 cases). c) Nuria Aragones reported that the database of the Spanish study will be ready in the next few months. d) Andrea Bellavia reported that the database of the Swedish study (PI: Nicola Orsini) is almost ready. e) With reference to other potential participating/collaborating studies, Keitaro Matsuo noted that the Asia Cohort Consortium (ACC) has mortality (and not incidence) data on GC. For this cancer, however, incidence and mortality do not show major differences. d) data harmonization (started for 6 studies, completed for 2). Carlotta Galeone introduced the StoP working group at the Mario Negri Institute, and updated on project procedures, email and website (to be developed). Graphic proposals for a project logo are welcome. c) alcohol drinking in grams/day, as studies used different measurement units. It was decided to use a standard transformation of 1 drink=12 grams, except for Japan. It was specified that only subjects who stopped drinking since at least one year will be considered ex-drinkers. Lina Mu asked to include pack-years among the variables in the “smoking” card. The latter is better for various reasons, including its performances in simulation studies and the possibility to incorporate study-specific confounders in the first stage. Eva Negri supported this method, though she noted that it was criticized in other studies because it does not allow to examine the interactions between variables. a) Whenever information will be available on the strain of H. pylori, it will be important to examine the possible confounding / effect modification role of strains with different virulence. b) With further reference to geographic area, Nuno Lunet specified that the analyses of cardia cancer will have to be stratified according to low- / high-risk area, since cardia cancers are easily misclassified between esophageal and gastric cancers. Socio-economic status is also a major confounder of the association between H. pylori and GC, that has to be taken into account separately in low- / high-risk areas. In fact, socio-economic status is also a surrogate for the duration of H. pylori infection (i.e., in low risk areas, the infection is less common and generally occurs during childhood, whereas in high risk areas the infection is common in adolescents and adults, too). Nuria Aragones noted that – if available – a covariate for education/social class of the parents would be more appropriate in this context. c) In conclusion, the role of H. pylori will be carefully examined and taken into account in all the subprojects, whenever available. a) The first subprojects planned are those on tobacco, alcohol and socio-economic status in relation to GC risk. According to IARC, there is sufficient evidence for a role of cigarette, pipe and cigar smoking in the aetiology of GC. Tobacco use was selected as the first risk factor to examine because i) it is likely that all studies will have this information; ii) it is a standard variable, relatively easy to analyse; iii) there are still several aspects related to tobacco that deserve analysis and quantification of risks. b) The same rationale applies to alcohol drinking, too. Meta-analyses of published studies suggest that alcohol is not associated with cardia GC and mildly positively related with noncardia GC, particularly at elevated doses of consumption. Keitaro Matsuo mentioned the role of polymorphisms of alcohol metabolism (i.e., ADH, ALDH), that is particularly relevant in East Asia, where in fact several studies reported an association between alcohol and GC. Lina Mu referred of a potential interaction with green tea, that might confer some protection to alcohol drinkers, and can be examined in our study. c) As already noted in the previous presentation by Nuno Lunet, investigation of the effects of socio-economic status will be more complex. Analyses will need to take into due consideration several different co-factors in various geographical areas. For example, Lina Mu reminded that in China low social class is associated to malnutrition and high consumption of salt-preserved foods. Stefania Boccia proposed to use, among other indicators of social class, the Relative Index of Inequality (RII), developed by the group of Prof. JP Mackenbach, that is increasingly used in epidemiological studies. Everyone was invited to propose issues to investigate in future subprojects. a) Nuno Lunet is interested to analyze in-depth the role of H. pylori and particularly of its strains. b) Stefania Boccia aims to address the role of height in relation to GC risk. The latter factor is strongly related to socio-economic status, thus a major issue will be to disentangle their separate effects. Also, H. pylori infection during childhood age has an influence on adult height, thus Nuno and Stefania will have to collaborate for these subprojects. c) Nuria Aragones expressed her interest for a subproject to investigate the geographical variation of GC incidence. d) Nuno Lunet proposed a methodological paper aimed to compare results between a study-level meta-analysis and an individual-level pooled-analysis of data of the consortium, on a specific topic yet to be defined. These results will also be compared to already published meta-analyses on the same topic. This will permit to address the role of bias (such as publication bias) in meta-analysis. The StoP dataset v.1.0 (including harmonized data of all the studies that will provide their datasets by September 2013), will approximately be ready at the end of 2013. It was agreed that, by the end of this year, the full list of variables that were standardized and included in the database will be circulated to all PIs, in order to facilitate proposals for subprojects. Stefania Boccia invited the PIs of those studies with biological materials to provide detailed information on the number of samples collected (separately for cases and controls), and the type of materials collected, i.e., DNA extracted from blood samples (or just stored blood samples); serum; plasma; frozen tumoural tissue; paraffin-embedded tumoural tissue; any other biological material. 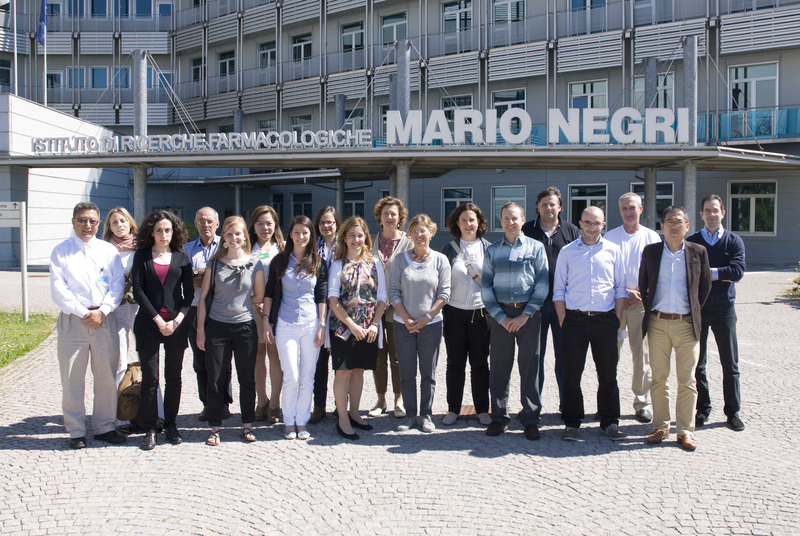 In order to understand the potential for this section of the project, as well as to define the aims, it is important to clarify the current situation of which biologic materials are available from the participating studies. Paolo Boffetta agreed that an inventory of biological materials is needed, also in consideration of a possible collaboration with NCI for a replication study. On the other hand, our sample might not allow to conduct an own GWAS study. Once the situation will be clear, Paolo Boffetta, Stefania Boccia, Nuno Lunet and Keitaro Matsuo will have a conference call with Phil Taylor (NCI). c) to obtain data from the ACC and include them in the StoP Project. c) To submit a proposal at the European Cooperation in Science and Technology (COST) Actions, that provides funding for research networks. Zuo-Feng Zhang will contact the Gastric Cancer Foundation to propose the StoP consortium. If the Foundation will demonstrate interest for our consortium, we will then develop an ad hoc proposal to submit. The next deadline for COST Actions is 27 September 2013. Eva Negri presented two draft versions of the authorship policies. These were adapted from those of the INHANCE Consortium. After discussion, all participants agreed to adopt the same version as INHANCE, i.e., to include up to two authors from each study contributing data, plus up to five authors for the “writing team”. A proposal form to apply for subprojects was also presented. All the participants approved it. d) Joshua Muscat proposed to write a series of summaries of the StoP publications, to be submitted yearly or twice-yearly to a gastroenterology journal. Carlo La Vecchia thanked all participants for their contributions and for the fruitful meeting. Next year meeting will possibly be held in Rome together with the INHANCE and ILCCO consortia annual meetings.